John describes the exalted appearance of Christ only after he recorded Christ’s instruction to him to write down his visions. John hears how the mysterious voice instructs him to note the revelation (Rev. 1:11) and only then proceeds to identify the voice. His visions are mostly divided into two sections in which he would first describe the appearance of symbols before he elaborates in a second part on events or actions that relate to them. By noting the instruction first, he foregrounds the revelatory activity and stresses that the Son of Man is the one who divulges hidden knowledge. And, after the vision of the Son of Man, the instruction to write the vision is repeated, but now with more information. The Son of Man powerfully reveals “what is to happen soon” (Rev. 1:19). Of particular importance in this regard is John’s remark that he was “in the Spirit” (ἐγενόμην ἐν πνεύματι Rev 1:10 BGT) when he received his special vision (Rev. 1:9). John uses the phrase elsewhere in Revelation, for example, the phrase is used before the throne vision in Revelation 4. John notes in Revelation 4:1 how the voice of Revelation 1:10 bid him enter the heavenly realm for his revelation. He then remarks, “At once I was in the spirit” (Rev. 4:2). With this John portrays his ascent into heaven and prepares the way for further revelations (Bauckham, 152). This is all about mysticism since being in the Spirit and being transported by the Spirit means to be given secret knowledge. Through these textual links, the Son of Man in the inaugural vision is linked to prophecy and to the revelation of hidden, secret, divine knowledge. John, as a prophet (Rev. 1:1; 22:9) had extraordinary experiences that were the result of prophetic inspiration that rests on the authority of the Son of Man (Bauckham, 158). John’s visionary experiences thus take him beyond the level of the human and the earthly into a mystical sphere that usually eludes human experience and knowledge. He is given visions which must be interpreted to him since they transcend his understanding (De Villiers, 1). John sees Christ in the midst of the lampstands‟ (1:13-16). This description recalls a medley of Jewish apocalyptic literature. The phrase “one like the son of man” derives from Dan.7:13. The long robe recalls the dress of the Jewish High Priest (Exod.28:4) and both the linen-clothed man of Ezek.9:2 and the deity of Dan.7:9. The white color of Christ‟s hair and head reflects the description of the ancient of days in Dan.7:9. According to Jonathan Knight, “The most important source for this passage, however, is the angelophany of Dan.10:5-6 (Knight, 39). The seer’s prostration (1:17) is a traditional response to the appearance of a heavenly visitor (cf. Dan.8:17, 10:15; Mt.28:9).this was a tradition in Revelation and other apocalyptic literature in which a seer who witnesses an angel falls at his feet. Finally, the chapter closes with Christ’s command to write what he sees (1:19). John’s vision is given a specifically eschatological content (what is, and what is to take place after this) and unfolding of the mystery concerning the stars and the lampstands were given to John. Adela Y. Collins. 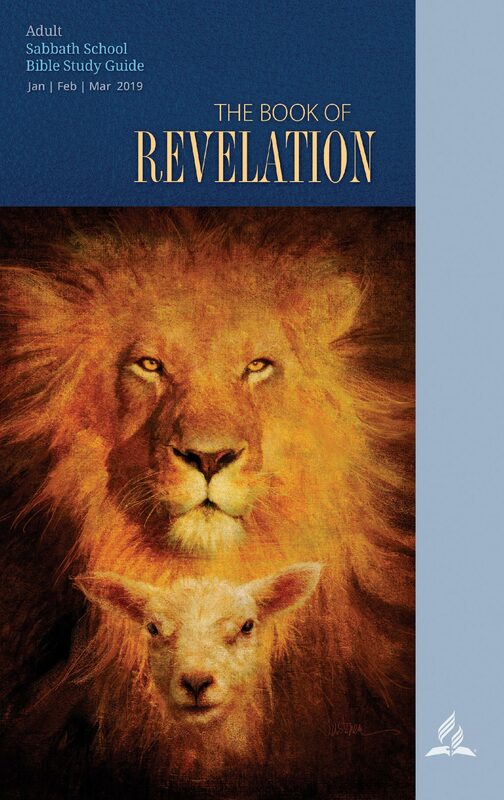 “The “Son of Man” Tradition and the Book of Revelation,” in James H. Charlesworth (ed. ), The Messiah: Development in Early Judaism and Christianity. Minneapolis: Fortress Press, 1992, pp.548-58. Aune, David E. Apocalypticism, Prophecy and Magic in the Early Christianity. Tubingen, Germany: Mohr Siebeck, 2006. Barclay, John M. G. (Ed). Journal for the study of the New Testament vol.25.1, Sheffield Academic Press, U.S.A, 2002. Bauckham, Richard. The Theology of the Book of Revelation. Cambridge: CUP, 1993. Knight, Jonathan. Revelation. England: Sheffield Academic Press, 1999.